Looking for work? Well there are over 20 employers searching for new staff who will be happy to hear from you. 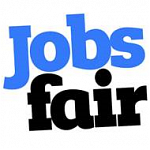 They will be gathering together at Rotherham Jobs Fair, taking place at the Aesseal New York Stadium, Don Street, S60 1AH on Friday 15th March 2019 , from 10am to 1pm.